British Prime Minister Theresa May says she believes she can reach a Brexit deal that parliament can support, allowing Britain to leave the EU on March 29. In a statement to parliament to update MPs on her negotiations with the EU to secure changes to the Brexit deal, May has again said she did not see a customs union as proposed by the opposition Labour Party as the way to secure agreement. 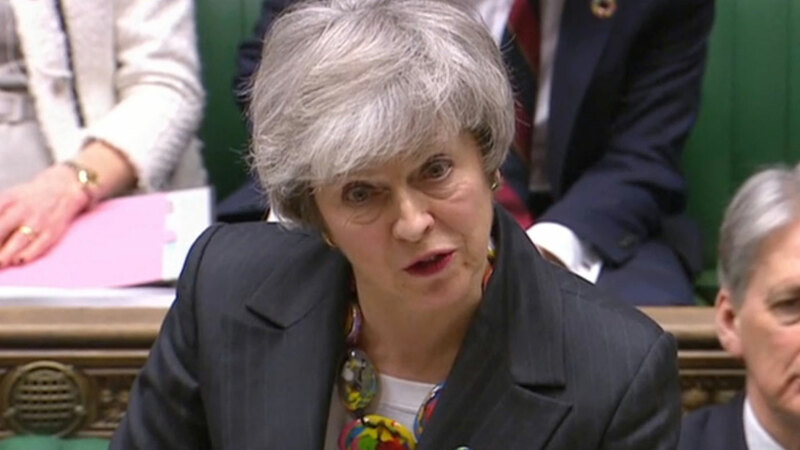 "The talks are at a crucial stage and we now all need to hold our nerve to get the changes this House requires and deliver Brexit on time," she said on Tuesday. "By getting the changes we need to the backstop; by protecting and enhancing workers&apos; rights and environmental protections and by enhancing the role of parliament in the next phase of negotiations, I believe we can reach a deal that this House can support."